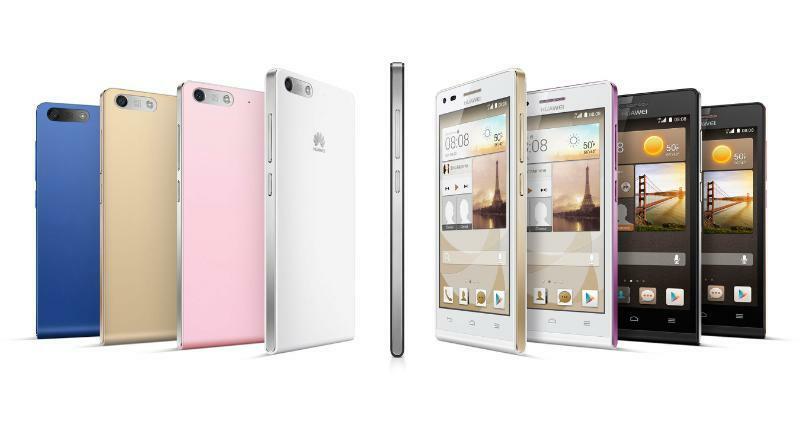 Huawei kicked off 2014 with a quartet of devices at Mobile World Congress, and the company’s new portfolio covers the important bullet points of the mobile spectrum. The company isn’t a widely known powerhouse here in the U.S., though Huawei will be looking to leverage its popularity overseas to garner interest in new markets. The wearable and smartphone aren’t of particular interest, though the company’s tablets, the MediaPad X1 and MediaPad M1 might just perks some ears. Like we saw in an earlier leak, Huawei’s Ascend G6 4G is a mid-range smartphone that sports a 4.5-inch qHD screen (950×540), 8-megapixel rear-facing camera (5-megapixel front), 1.2GHz quad-core processor, NFC, 2000mAh battery and a frame that’s just 7.85mm thick. Nothing to stand out in any particular way. But the device actually comes with LTE support for up to speeds of 150Mbps. That’s blazing fast (if your network supports those speeds), and should allow folks to stream movies with ease. It appears Huawei is also unveiling a plain old Ascend G6 during Q1 this year that won’t get those blazing speeds, so it just depends on the market you’re in and what you can afford. That device will come in black, white, pink, gold or blue. The Ascend G6 4G, meanwhile, will be available starting in April, and arrive in black with light gunmetal grey or rose gold highlights, or in white with pink or champagne gold highlights. 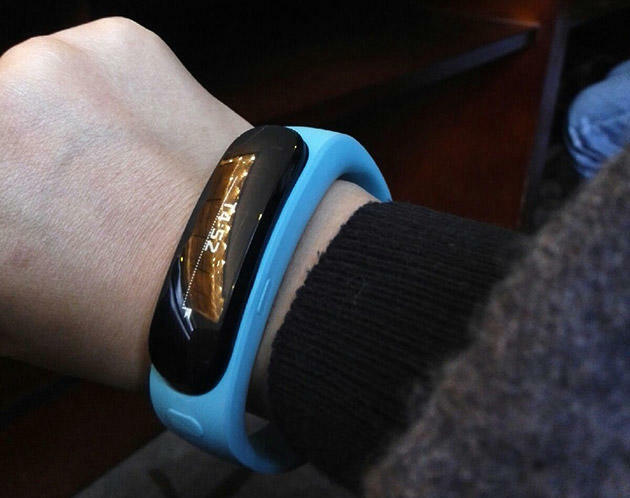 On the wearables side, Huawei also unveiled the TalkBand B1, which we got an early glimpse of a few days ago. The device features a bendable, curved design with a 1.4-inch flexible OLED display, removable Bluetooth 4.1 earpiece and the ability to track simple fitness stats, such as steps taken, calories burned, and sleep. A 90mAh battery is stuffed inside the curved body, which is promised to last for at least a week. The TalkBand B1 will work with both Android (2.3 and up) and iOS (iOS 5 and up) over NFC, and launch in China this March, and hit other countries in Q2. Huawei also unveiled two tablet devices, both of which support LTE support (up to 150Mbps), Wi-Fi calling and SMS. So they’re almost like giant phablets. Almost. The MediaPad X1 is more in line with a Nexus 7, equipped with a 7-inch display (1920×1200), 1.6GHz quad-core processor, 13-megapixel camera (5-megapixel front) 5000mAh battery, Android 4.2 Jelly Bean and an aluminum build, with what Huawei says is an 80 percent screen-to-body ratio. Expect this guy to hit in March in China, Russia, Western Europe, Japan, Latin America and the Middle East. 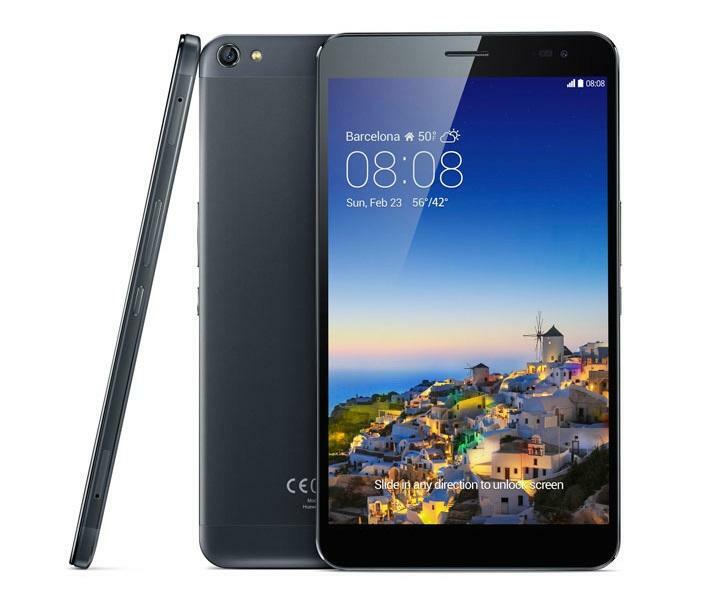 There’s also a MediaPad M1, which contains a bigger (but lower resolution) display, at 8 inches (1280×800), 1.6GHz quad-core processor, 5-megapixel camera, 4800mAh battery and a unibody aluminum design. The M1 will be available in the same markets as the X1 this March. No pricing for any of these products have been revealed, but announcements are sure to come pretty soon.